Internet Radio has some fierce competition. Since the launch of iTunes Radio in 2013, it became much harder to single out one service in particular that reigns supreme. Does the popular US service Pandora still have what it takes to surpass all others? 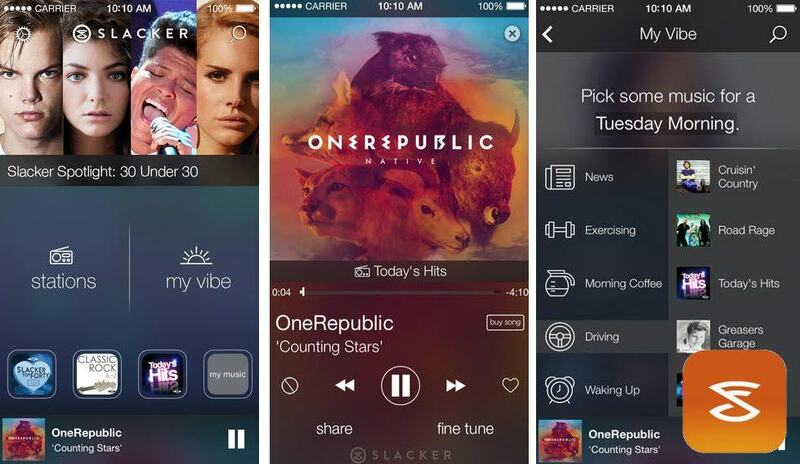 Is Slacker Radio more your personal preference? Either way, following on from last week’s column where we compared on-demand music services, we have taken it upon ourselves to narrow down the competition, including iTunes Radio, Pandora, Slacker Radio, iHeartRadio, Last.fm and TuneIn Radio; see the table below. We’ve also done some hands-on testing and in-depth research in order to determine just who has the leading edge and what they offer in terms of functionality, catalog size, features and usability. 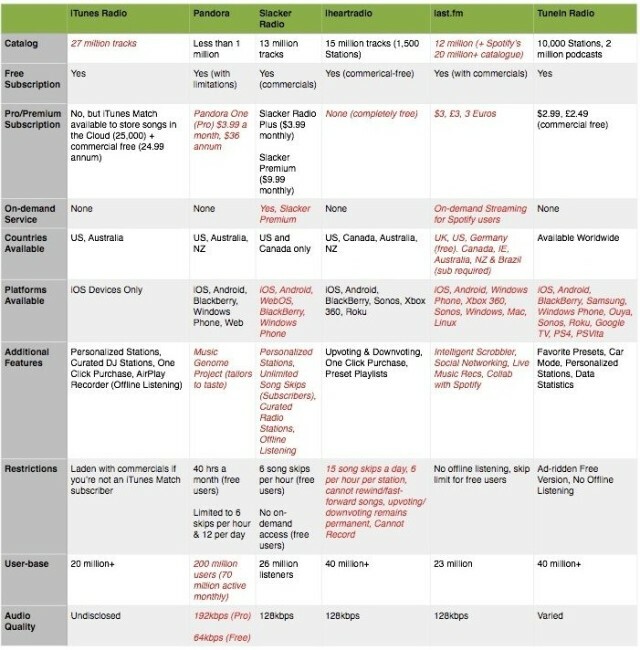 Comparing all streaming radio services. Not long after Last.fm restored its personal radio service by operating a limited early access beta of its newly reformed YouTube-operated music player, the music service announced it was joining forces with Spotify in order to build an option to listen to any track on its site through the most popular on-demand music service. Music itself will play through Spotify (which means being a Spotify subscriber is highly beneficial) but listeners will have the ability to browse without leaving the site itself. Last.fm already offers the option to listen to tracks through services such as Rdio, and Deezer, but integrating with Spotify itself opens Last.fm users to a whole catalog of music whilst it focuses on maintaining its recommendations by use of its intelligent Scrobbler. It was only recently that Last.fm was struggling to keep afloat due to the success of other, better supported services such as Pandora and even Spotify itself, with the abandonment of its service altogether in almost every country except the UK, US and Germany, for which it announced its intentions to put its desktop radio service behind a paywall. However, with this most recent collaboration, alongside the YouTube partnership, all Last.fm web users worldwide will not only have access to a vast majority of exclusive and obscure music, but they’ll also have the ability to choose from a vast catalog comprising the two libraries, for both free and premium users. Sadly, it’s worth mentioning that it is not currently supported on mobile or tablet browsers, so those hoping for the ability to listen while on the go may have longer to wait for such an option to become available. Those who also have no access to Spotify in their territory unfortunately also will miss out on this exciting new development. Last.fm is probably most commendable for it’s fantastically engineered Scrobbler system, which tracks what you listen to from external sources (such as iTunes, for example) and tailors great recommendations based on this. It’s probably one of the oldest and most intelligent systems for learning what you like and playing songs based on your musical preferences. Since 2006, Last.fm has been constantly updating and tweaking the way it operates and its functionality in order to deliver the best user driven experience possible. Incorporated within this is personal recommendation page “The Dashboard,” which suggests new music, events and other people with similar tastes, all tailored to the user’s preferences. If you’re signed up to a number of groups, for example, it will cross-examine the various overall tastes of the users in the group, and it will pull in information on what other users with similar preferences have listened to themselves. It will then throw all this information onto the page, along with the ability to hear previews of artists you may or may not have listened to previously. Additionally, there is also a personalized radio station that specifically plays music based on what you have been listening to in the past week. 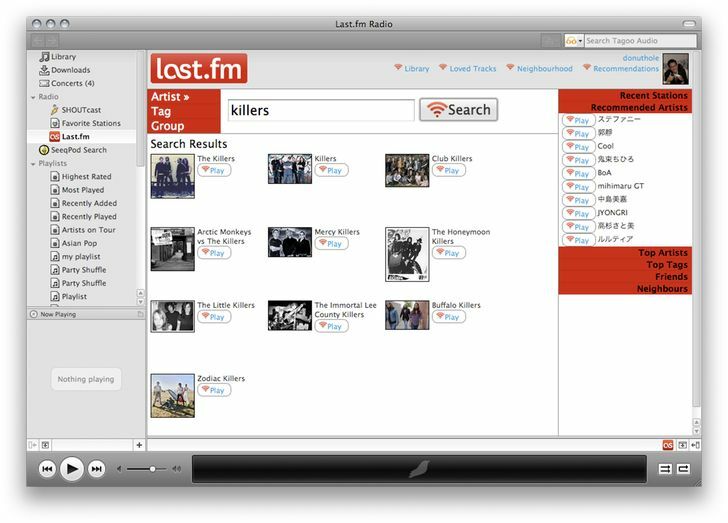 The social integration and networking system in Last.fm is possibly one of the best on the Internet Radio market, considering the ability to create groups (which will then generate a profile based on the overall tastes of the group members) as well as the option to recommend artists, tracks, or albums to anyone on your friends list or in a specific group. Groups not only get their own forum space for discussion, but are able to access a randomly generated radio station curated to member taste. Furthermore, the events function, based on your listening habits and favored artists, will suggest events and festivals near to you that may be of interest. It’s possible there and then to set yourself as attending or otherwise, as well as create an option for venues that may have been left off the system. Users can also leave reviews and photographs at their own discretion. Many artists who are on independent labels have found Last.fm to be remarkably helpful in terms of promotion and gaining exposure. Operating on a “word-of-mouth” basis, listeners can recommend tracks they like to their friends or other members, and since Last.fm gives the freedom of listening without a subscription, many artists have benefited greatly from this system. Back in 2008, Last.fm also launched an “Artist Royalty Program,” which allows artists to accrue royalties for their song streams. These can be up to 10 percent of the advertising revenues associated with their songs. 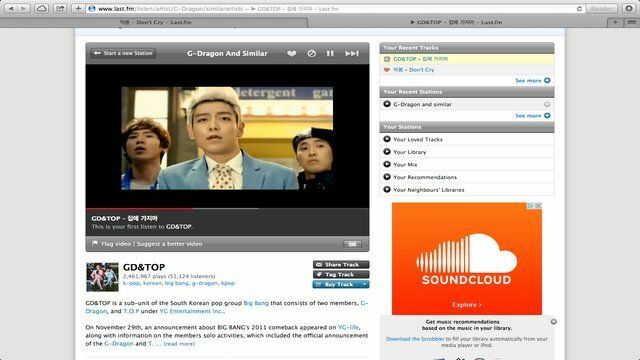 Since it’s partnership with YouTube, free Last.fm listeners have the freedom of unlimited skip tracking as well as a whole host of music videos available to stream at their fingertips. Though it’s not ideal for those who prefer the typical desktop application format, it most certainly is a perk for anyone who doesn’t want to splash out the extra money for a subscription. Although it’s currently still in beta mode, our in-depth hands-on testing has concluded that it is a robust alternative and highly accurate in its recommendations. Subscribing to Last.fm will set you back either $3, £3 or €3 per month, depending on your location. Web-based browsing is still absolutely free for those who are not using the desktop app, but it’s now only possible to access the desktop app by paying for a subscription at the above monthly tariff. This also includes mobile and tablet device access, so can be handy for those who want to listen on the move (though bear in mind that Spotify is not incorporated within the mobile app itself). A subscription also abolishes commercials and grants access to those who live outside of the US, UK and Germany. Xbox 360 users can also use Last.fm from their system providing they have an Xbox Live Gold Account, which provides further access to the gaming community. That said, Last.fm is not without its flaws. Those who do not have a Spotify account will be limited to the 12 million track database of music that is not comparable to the libraries of other radio services such as Slacker Radio and the recent introduction of iTunes Radio and its extensive library of 27 million tracks. That said, if you spend a lot of time listening to music on your computer, it doesn’t take long to sign up for a completely free Spotify account which grants you full access to all of the 24 million plus tracks. Though it is granted that Last.fm has indeed improved its service across the board, there are still serious issues with mobile app stability, especially in the case of Android users. It has become evident that Last.fm is having some issues where playability is concerned. An Android user complained, “An app for playing radio stations on your phone..seems simple enough. And yet the app doesn’t even manage it. It cant even do what its main purpose is.” This is the general consensus across the board, but it seems like its a recent occurrence so it may not be long before there is an update to fix this problem. iOS users on the other hand have mixed reviews, with most of the issues pointing to stability issues, or general discontent at the subscription fee. It’s not evident how many users actually use Last.fm as their mobile go-to for internet radio, but in terms of an internet radio while browsing the web, it’s pretty solid. Combined with an intelligent Scrobbling system and a vast diverse catalog of songs, it’s fairly unlikely users will have too much cause for complaint, and subscribers will benefit hugely from unlimited skips, and the ability to listen to their much-loved music on-the-move. Cutting it real close is the hugely popular Slacker Radio, which is mainly let down by the fact it remains restricted to the US and Canada only. This in turn means that a large number of the population miss out on what is a truly innovative experience, combined with a beautiful UI and great functionality. Slacker Radio is largely praised for the option to sign up to not only a service that offers thousands of curated and personalized radio stations as well as non-music content such as news and sports talk, but it also has the ability to access on-demand streaming in a similar fashion to Spotify if you sign up for the Premium service, which will set you back only $9.99 monthly. Alternatively, for those who are not fussed about the on-demand service, subscribe to the Slacker Radio Plus service for only $3.99 monthly to remove commercials and enjoy unlimited song skips. The free version of Slacker Radio is where Last.fm surpasses it in terms of usability. Heavily burdened with commercials, as well as the limit of 6 song skips per hour, Last.fm is clearly the superior choice with users who do not wish to take on a monthly subscription. 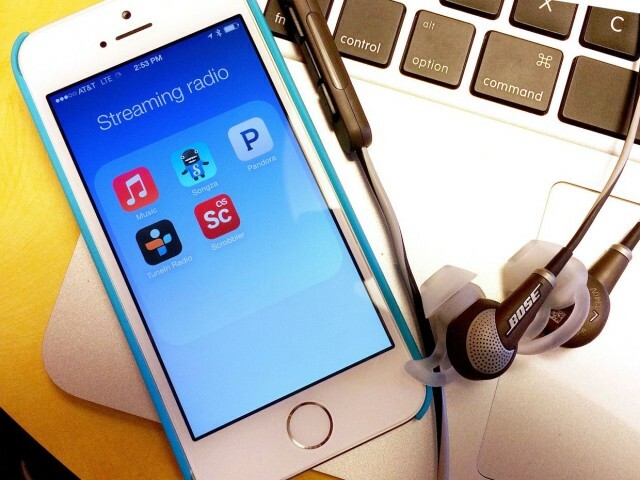 It’s also restricted by its lack of accessibility in other countries, but despite that the user-base is still a considerable size, clocking in at 23 million listeners. Slacker Radio also has the disadvantage of not being available on as many devices as Last.fm, but has the upper-hand where offline listening is concerned for Premium Subscribers. For a handy alternative, Slacker Radio is quite possibly one of the most functional services that offers fantastic value for money, but Last.fm still has the edge where social networking is concerned, alongside its highly intelligent Scrobbler which makes it the better choice for music recommendations overall. Apple’s very own iTunes Radio has definitely stirred up a lot of noise since its launch last year. Sporting over 27 million tracks and 250 DJ-curated stations, it is definitely a strong contender in the internet radio industry. Considering it offers you the ability to create your own stations as well as the option to use the AirPlay Recorder to save your favorite songs for offline playability, there’s a whole lot on offer here that other services have a lot to live up to. Where iTunes Radio falls behind is that it’s currently only available in the US and Australia, and while there is some talk of an impending launch in countries such as Canada, New Zealand and the UK, it’s still widely unavailable across the rest of the world. It’s also only really available to iOS users, so if you’re looking to use it on your consoles, Sonos systems or Roku box, it’s not looking too promising at the moment. Its lack of on-demand access leaves it trailing in the dust behind Slacker Radio, but on the other hand, it does happen to be completely free, so there’s no need to worry about monthly subscription fees. 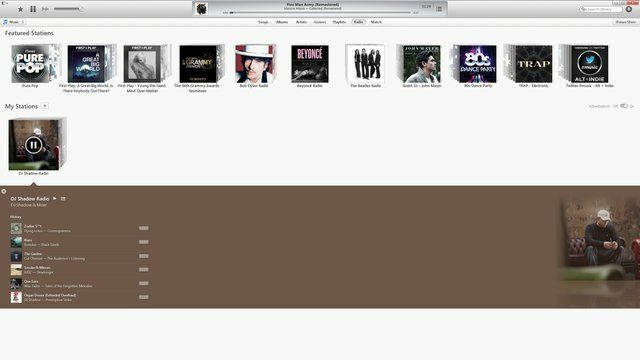 iTunes Radio does however offer one-click purchase for tracks (though other similar music services offer this too), and its catalog also includes a broad diverse range of artists and musicians, including the possibility of hearing songs before their official release. If you’re an iTunes Match subscriber, you can also use iTunes Radio commercial free and store up to 25,000 songs in your iCloud account, but this will set you back $24.99 / £21.99. Because iTunes Radio is fairly new on the scene, it’s algorithms for music recommendations is unfortunately not as advanced as Last.fm or that of Pandora Radio, both services that have been around since the mid-2000’s. Although a worthy alternative to Pandora, it still limits users to six skips an hour per channel, but makes up for this with it’s huge library of songs, which at 27 million strong beats Pandora’s surprisingly thin catalog of just around 1 million tracks. If you’re a US or Australian resident, for a brilliant alternative to Last.fm and Slacker Radio, iTunes Radio is definitely a service to check out. Last.fm: Available free or subscription-based in US, UK, Germany, & subscription-based in Canada, IE, Australia, NZ and Brazil, largest song catalog when combined with Spotify’s huge library, best service for social networking and song recommendations. Slacker Radio: On-demand streaming availability, beautiful UI, but free version loaded down with commercials. Only available in the US and Canada. iTunes Radio: Huge catalog of songs, AirPlay Recorder saves your favorite songs for offline listening, only available in the US and Australia.